On July 23-24, 2013, deans from eight of the New York State medical schools participated in the Associated Medical Schools of New York’s (AMSNY) annual advocacy days in Washington, D.C. The deans conducted 20 meetings over the two-day visit, including 15 members of the New York State Congressional Delegation and Senator Charles E. Schumer. In addition, AMSNY met with House Republican leadership: House Majority Leader Eric Cantor; Vice Chair of the House’s Budget Committee, Tom Price, MD; and Vice Chairman of the House’s Subcommittee on Health, Michael Burgess, MD. Pat White, Associate Director for Policy at the National Institutes of Health (NIH), was the invited guest to a breakfast meeting that focused on the future of the NIH, including the impact of sequestration on funding priorities and grant awards. 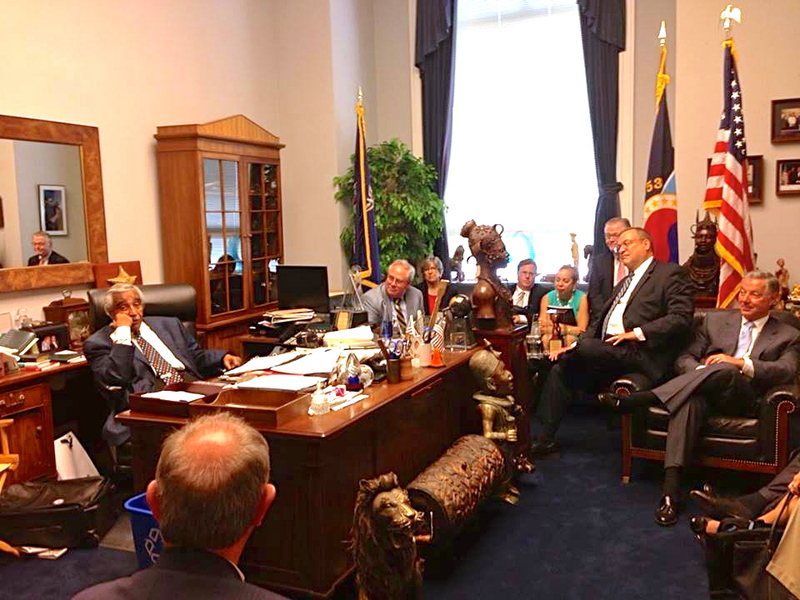 The discussions at each of the meetings focused on three priority areas for the medical schools: cuts in the NIH budget; the need for additional residency training slots; and reforms to the Higher Education Act, Title IV student loan program. All of the members agreed that biomedical research saves lives and ultimately saves money through the development of preventive therapeutics, and all agreed upon the need for more residency slots given the growing physician shortage. However, the impasse around the Federal budget and the sequester remains. Congressman Charles B. Rangel (D-NY) with the medical school deans and AMSNY representatives. 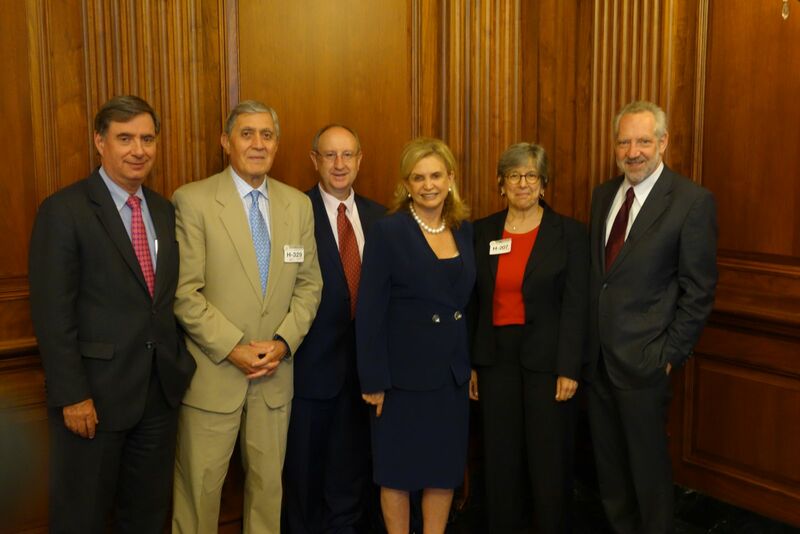 Congresswoman Carolyn Maloney (D-NY) with the medical school deans and AMSNY. 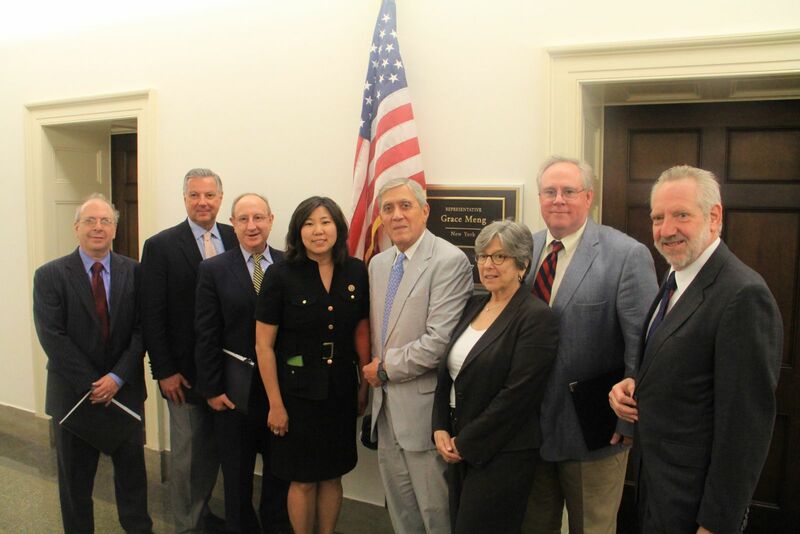 Congresswoman Grace Meng (D-NY) with the medical school deans.